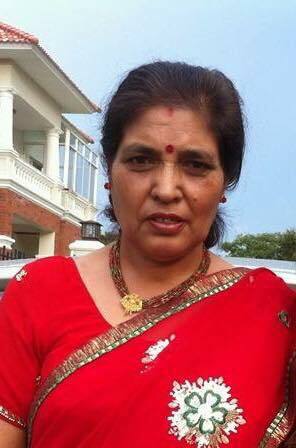 The Newah Organization of America (NOA) families are deeply saddened to hear about the recent passing of Mrs. Yasoda Shrestha at the age of 67 on Monday, April 2, 2018 in Kathmandu, Nepal. Mrs. Shrestha was the wife of NOA Honorary Life Member Mr. Madan Krishna Shrestha. Mrs. Yasoda Shrestha touched many lives and contributed to the community during her lifetime. She was survived by her husband, a son, and a daughter in law, a daughter, and a son in law and two grandchildren. We regret the loss of one of our own very important community members who touched many lives and contributed so much during her life. The NOA would like to extend heartfelt condolences to the entire Shrestha family. May god give strength and peace to the entire bereaved family members. Our thoughts and prayers are with Mr. Madan Krishna Shrestha family and loved ones during this difficult time. Lets pray for the eternal peace of the departed soul.